Canada is well known for its legendary ski conditions and the stylish ski resorts found across their vast natural landscape. With so many to choose from, how do you know where to begin your adventure? We have done the research for you and come up with the top 5 ski resorts you must visit in Canada. We start with Mount St. Louis. Located in Ontario, the Mount St. Louis Moonstone ski resort has been providing great runs for skiers and snowboarders for over four decades. Located in the snow belt area of Ontario north of Barrie, it is the perfect place for advanced, intermediates and stark cold beginners. Mount St. Louis boasts 36 runs up to 2 kilometers long, a super pipe, progression pipe and two terrain parks. With some of the best lift ticket prices in the region, excellent snow conditions and tons of lodging nearby, be sure to make Mount St. Louis your first stop in Canada this season. and a bevy of beginner runs for those just starting out. Whistler is undeniably primed with advanced runs. For those who need more than the 1,700 feet runs dropping 485 vertical feet, helicopters are waiting to carry you out to the backcountry for unadulterated powder in the raw wilderness. If you are up to it, make sure and put Whistler on your bucket list. Another staple that attracts millions of local and international visitors every year is Banff National Park. The town of Banff receives epic snowfalls every year, and hosts three quality resort destinations. Buy a ski pass and cover all three during your stay. The pass includes Mt. 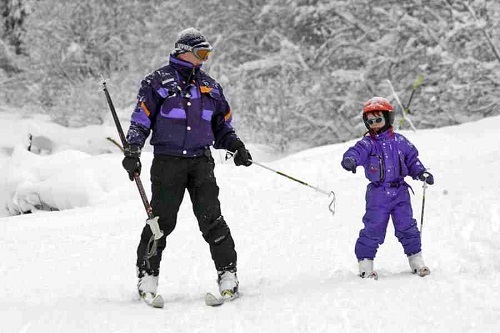 Norquay, which is the perfect family friendly ski and snow play park. This is the place to go if you need some easy open slopes with plenty of snow and expert instruction. Sunshine Village, on the other hand, is a destination more suited to extreme experts. This is an area filled with double black diamonds where you get your off-piste skiing in on plunging avalanche terrain. After all that adrenaline has stopped pumping through your veins, use your pass to unwind at Lake Louise in the Upper Hot Springs. Don’t miss out on Banff! 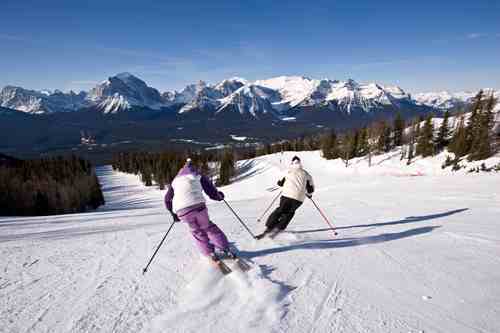 The Jasper and Marmot Basin ski resort is located in enormous Jasper National Park. This massive expanse of mountain paradise has some of the wildest terrain and biggest selection of runs for all levels. In addition, Nordic skiers can glide for days through the 300 kilometers of cross-country trails available. Although the terrain is endless, the resort is not that crowded and Jasper is small town friendly. The Quebecois have some of the best country cornered, and visiting the Tremblant ski resort will offer up a unique cultural experience in addition to amazing snowboarding and skiing. Tremblant is in fact the largest ski area in Eastern Canada, and owns a lift system that sends thousands of people up the mountain every hour. Visit Mount St Louis or any of these amazing Canadian ski resorts and you can’t go wrong, that is, unless you can’t get enough time off to visit every one of them! This entry was posted in Canada, Skiing, Travel, Winter Sports and tagged Canada, Ski Resorts, Skiing. Bookmark the permalink.